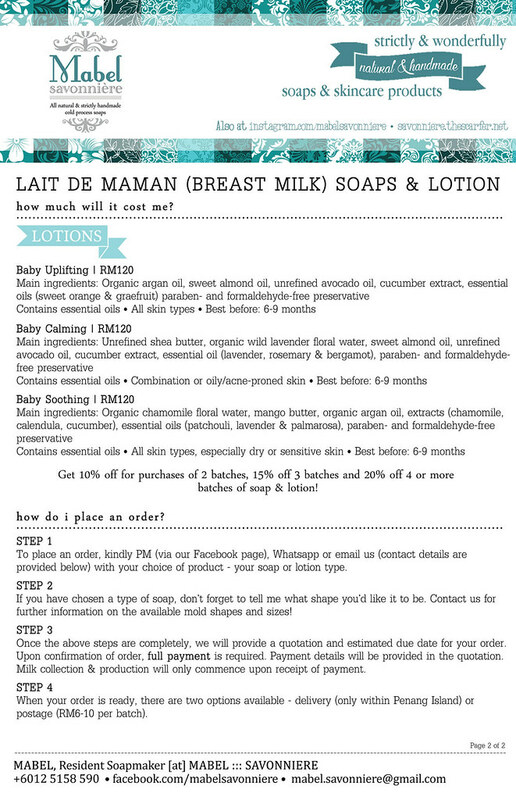 As of May 1, we are NOT accepting custom orders (only within Penang Island) for our Lait de Maman Soaps & Lotions! If you need any more info or have any questions regarding pricing (if you wish to make more than one batch), please feel free to contact me! Hi Evelyn, perhaps you could email me at mabel.savonniere[at]gmail[dot]com with the necessary info like how many batches, where you’re at, etc? 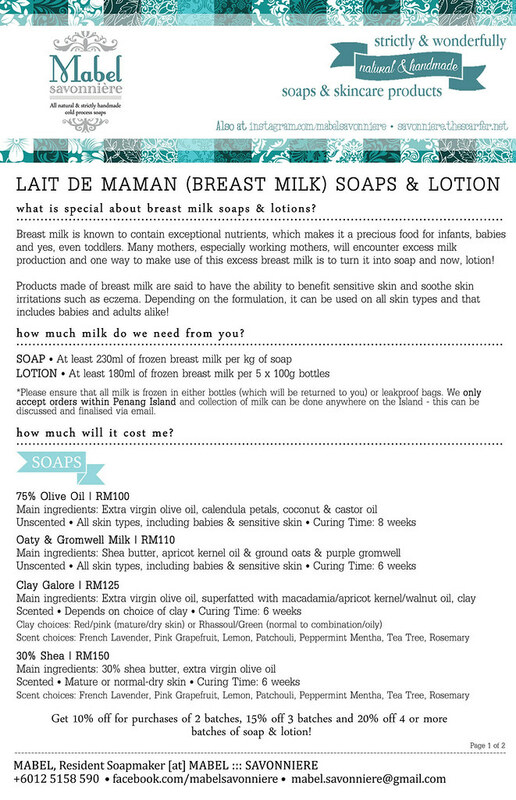 The breast milk that I stored around 8~9 months, can still be use?I would like to make into soap, thank you. Hi Angeline, yes, you could still use this for soaps.